To purchase sponsorships, tickets or tribute book pages, visit our event website at http://laclj.kintera.org/gala2016″. 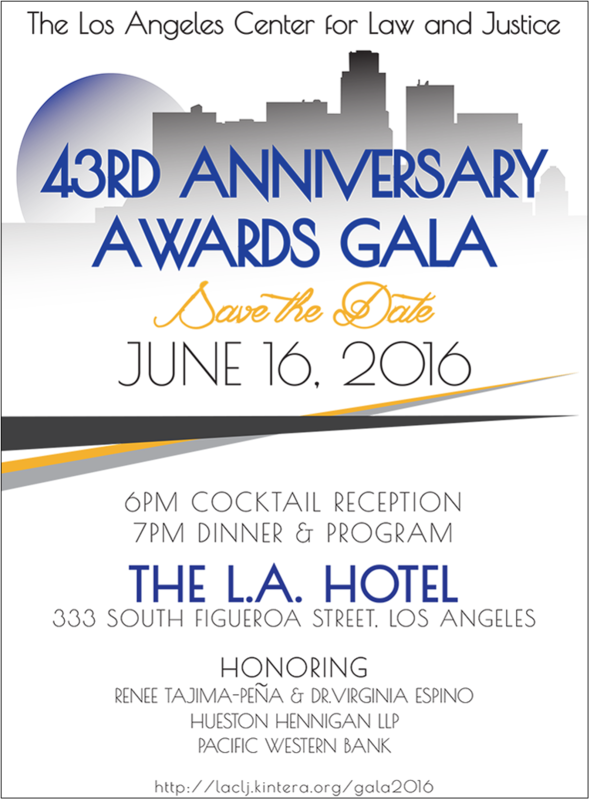 For more information about the event, contact Jenny Farrell at (323) 980-3500, ext. 14 or jenny@laclj.org.